A visit to my local Greenmarket on Saturday mornings is as much a part of my routine as a cup of coffee. And without a doubt, September is one of my favorite times to head out to Prospect Park’s Grand Army Plaza and stock up on fresh produce. Not only is there still a wide variety of vegetables and fruits available, but as this month marks the return of the “R months,” I’ll add a dozen oysters to my order when I make my stop at the fishmonger. And while markets come and go, the culture still thrives: NYC Greenmarkets appear all over the five boroughs today, drawing farmers and vendors from near and far as well as loyal bases of local customers. The city also hosts several fancier indoor venues with established storefronts, such as Chelsea Market. In particular, seafood has long been one of the most sought after market commodities in our coastal city. Like us, 19th century New Yorkers also loved their shellfish, and the Museum holds several trade cards for early fishmongers. Harris Bogert sold his wares out of stalls 133-136 in the Central Market, which was alternately referred to as Centre Market, and depicted in the top left corner of the print above. According to the layout, Bogert would have been on the Rynder Street side of the market (renamed to Centre Street just one year after the layout was published). The Centre Market remained in operation until 1905, when construction began on the new Police Headquarters Building at 240 Centre Street. T. H. Vanderhoef, Fish, Oysters, Clams and Lobsters, 1870-1900. Museum of the City of New York, F2012.99.916. In Brooklyn, T. H. Vanderhoef’s store at 36 Myrtle Avenue would have been located in today’s MetroTech Center, in close proximity to the Wallabout Market. While shoppers could visit Wallabout to purchase their own wares, it was known to be a rather cutthroat environment, with wholesalers more often selling to retailers than to the general public. Like the Centre Market, Wallabout Market fell to progress. As World War II ramped up, the Brooklyn Navy Yard expanded into the Wallabout Market, and it was torn down in 1941. Unknown photographer. [A. Cuneo Store. ], ca. 1935. Museum of the City of New York, X2010.11.7431. Of course, we can’t talk about fishmongers in New York without a nod to the aforementioned Fulton Fish Market. First established as a market site in 1807, the site’s original building opened in 1822. In 2005, after 180 years in operation at the Lower Manhattan location near the South Street Seaport, the Market relocated to Hunts Point in the Bronx. At that time, an estimated 5% of the nation’s seafood flowed through its stalls. The Seaport remains a prime location for seafood restaurants, and some of its iconic joints hung on for many decades, like Sweet’s. Founded 1842 at 2-4 Fulton Street, the restaurant remained in operation until it suffered severe damage from a nor’easter in the early 1990s. Sweets Restaurant, 1975-1992. 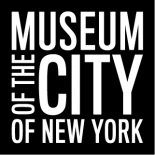 Museum of the City of New York, 97.146.343. We’ll be featuring more about New York City’s long history with seafood, especially with the oyster, in the upcoming exhibition New York at its Core, opening November 18th. The Museum is grateful to the National Endowment for the Humanities, whose support has allowed us to share the trade cards and menus included in this post, along with several thousand other images from our ephemera collections. The remainder will be available by early 2017. Cindy Lobel’s landmark book Urban Appetites is dispositive on this topic. Hasten there! Interesting article Lindsay; enjoyed it! Very interesting article about markets! This entry was posted on September 20, 2016 by Lindsay Turley in Manuscripts and Ephemera and tagged 1800s, 19th century, Advertising, Brooklyn, Central Market, Centre Market, early 20th century, Fulton Fish Market, Lower Manhattan (New York, N.Y.), Markets, National Endowment for the Humanities, Seafood, Wallabout Market.